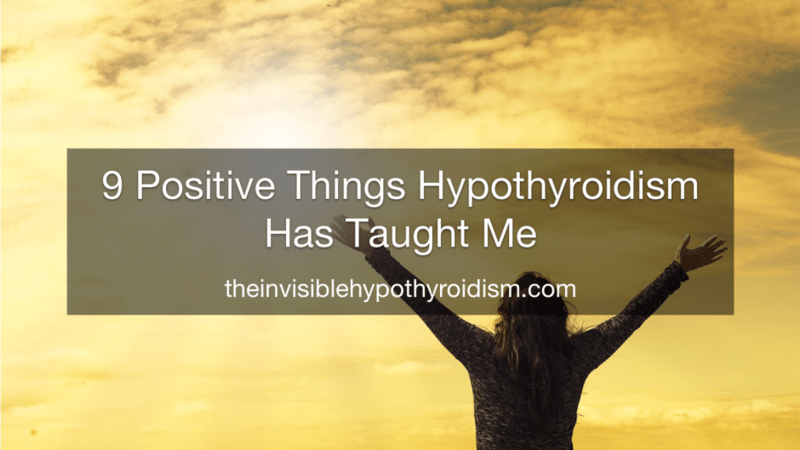 Trying to look at having hypothyroidism in a more positive light can be difficult, but I try to look at it that way when I feel it’s all doom and gloom. This is usually when I hit a brick wall, like when my doctor won’t listen to me or something didn’t quite go to plan. However, going through a health condition so tough can teach us things and make us a better person. I’m going to explore mine below. As soon as I had the symptoms, I researched about it and learnt that it was a chronic, lifelong disease, which was devastating to me, when my health meant so much. I ate well and I was very active, walking twenty miles a week, going gym four times a week, running one or two times a week and playing badminton on the weekends. I had to accept that I was in this for the long-run and so I was going to have to give it my best shot. 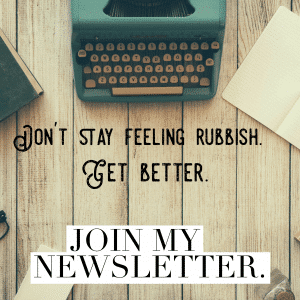 When I felt at my absolute worst, on Levothyroxine, I had a few months of despair, not being able to accept that I would feel this way forever. Forever feeling like I was dying. And then something clicked. I realised I didn’t have to. I decided that I would make sure I didn’t have to live such a dreadful quality of life forever. I became strong in my ability to push for answers, to not accept ‘no’ and to keep on going. Every brick wall I hit, I eventually smashed on through. Because the alternative, to live a rubbish quality of life, just isn’t an option. I was already very active and ate a healthy diet, but I learnt that I could do too much and actually cause more harm than good. I was expecting a lot from my body and needed to slow down and listen to it. I’ve learnt that things like gluten can be bad for thyroid patients, which I didn’t know before, and so I’m currently trialling a gluten-free diet. 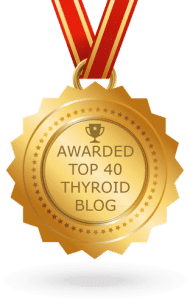 I’ve learnt that lots of other conditions I had prior to diagnosis were actually all linked to my failing thyroid, and not separate conditions. I used to have very high expectations, unrealistic expectations, for myself, that I would never drift from. I expected a lot from myself and was a perfectionist in every way possible. Now, I understand that it’s OK to not get everything done that day, that I originally aimed to, because I am only human. I’m human with a health condition that can get in the way at times. I now know when to ask for help and get other people to pull their weight, too. I’ve learnt how to strike a balance. 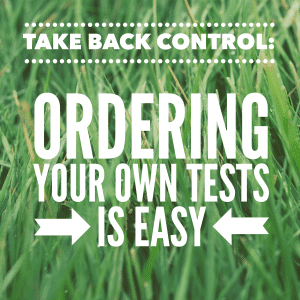 I have taken my health back in to my own hands, changing thyroid medication (I would always recommend consulting a doctor when doing this, preferably), exploring other problems and arranging testing for my adrenal glands, and monitoring my own thyroid levels. I taught myself how to interpret test results and what I should be looking for. 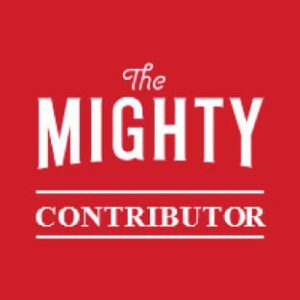 I set up my own Facebook support group and my own blog. I grew more independent and I followed my gut and I followed my heart. A lot of doctors don’t treat each individual thyroid patient as just that. – Individual thyroid patients. We have different needs and require different approaches, as the T4-only one-size-fits-all medicine isn’t actually the answer for a lot of us. Finding a good doctor can be hard. You often have to keep trying a different one until you do find one. And some patients even resort to going private. 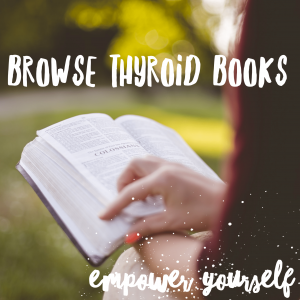 We can empower ourselves with books, resources, other thyroid patients’ experiences, and gain invaluable knowledge. 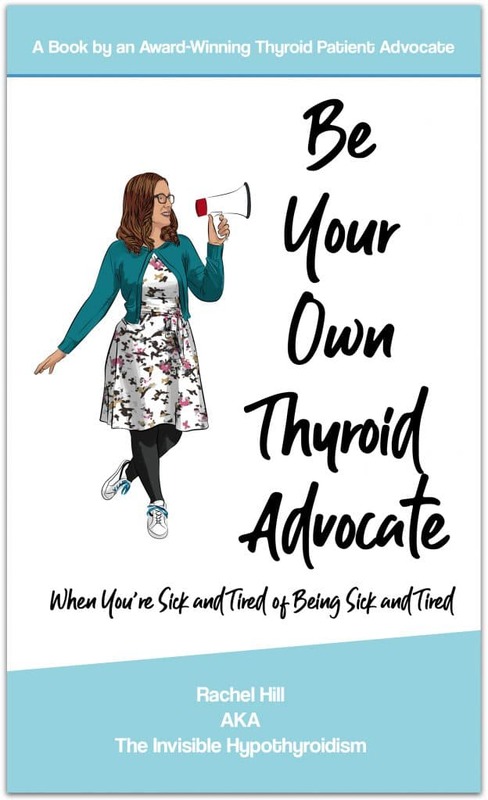 From this, I am also more knowledgeable, not just about thyroid and endocrine problems/function, but also about doctors, the healthcare system, and reading lab work in general. I’ve become more mature and wise. 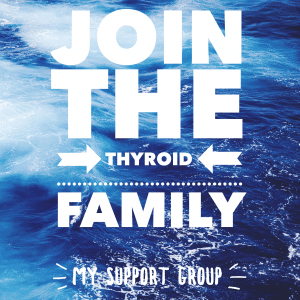 Having thyroid disease has given me the strength and push to create an online support group and this blog, to help others with hypothyroidism and related issues. I’ve already helped many people, and people thank me on a daily basis for helping them get better, or even just help them to become more independent or knowledgeable in their health, too. It has reignited my love for books, which waned sometime around my teen years. From a young age, I always had books on the go and loved curling up with a book, but it died off over the years. However, once on a mission to learn more about my new diagnosis, I invested in many thyroid books and I love curling up with them in the evening, on my chaise longue, in front of the fire, with a cup of tea. It’s not fiction that I’m reading anymore, but something real and that makes it even more exciting and intriguing. Every sentence I read gets me closer to another person I can help or another issue of mine I can resolve. 9. It Taught Me The Power of Community. 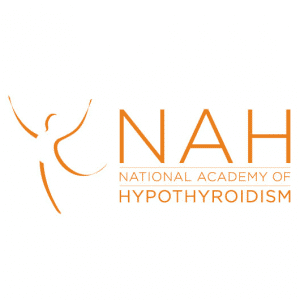 I have met many new people and made many friends through having hypothyroidism. Some people already in my life had it, but I didn’t even know until I shared my diagnosis with them! Others, I have made through my online support group, or through other forums I use. They are often the only people who truly understand some of my problems and worries. We help each other but also like to just have a rant! It’s healthy to have a good moan about the frustration that is hypothyroidism, too. Other relationships have grown stronger too, strangely enough, because we have shared a really tough time of my life and gone through it together. They have helped me through it, making our friendship stronger. Through all the devastation and ruin that this condition can cause, I like to remember the positive things it has done for me. I do wonder what my life would have been like had I never developed this condition, or developed it later on in life (twenty is pretty young to develop a thyroid condition), but I don’t think I would be as good a version of myself I am today, if I hadn’t. I am stronger, wiser, more compassionate, and I have a passion to get to the bottom of it and help others. It has given me a drive to keep on going and pushing for change; better diagnosis and treatment for others with the condition. Next Why Do I Get Free Prescriptions When on Levothyroxine? 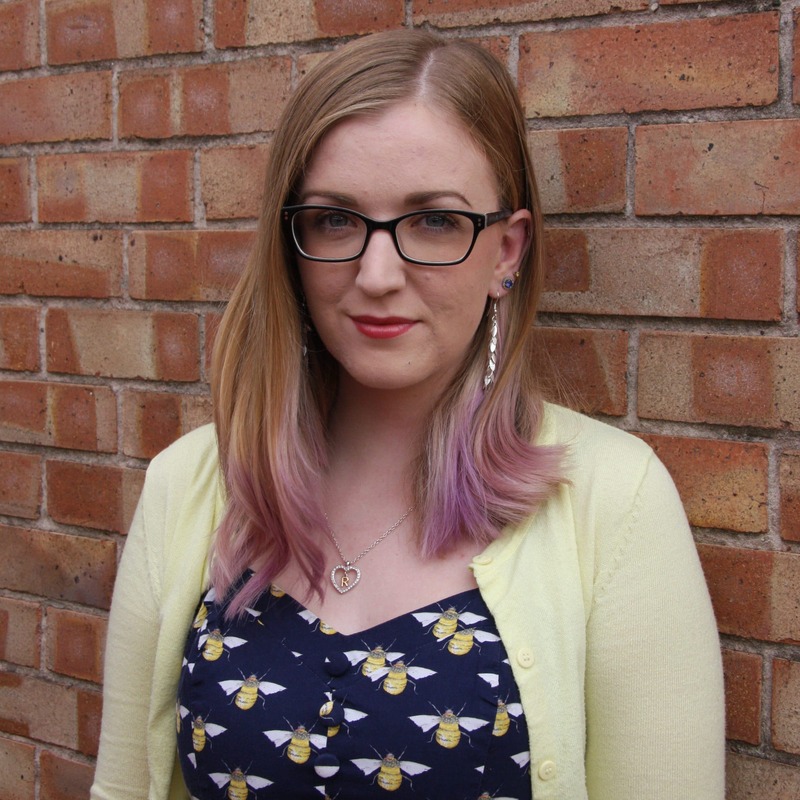 Rachel is one of the many faces of thyroid disease and she’s passionate about helping those with hypothyroidism and giving them a voice.